The Panasonic Leica DG Elmarit 200mm F2.8 is a fast telephoto lens that is equivalent to 400mm when mounted on a Micro Four Thirds body. (An included 1.4x teleconverter increases the equivalent focal range to 800mm.) The lens has 15 elements, two of which are ultra extra-low dispersion. The lens has optical image stabilization which can take advantage of Panasonic's Dual I.S. system when used with a compatible body. It uses a 'triple linear motor system' and 240 fps sensor drive for high-speed focusing for still and video capture, according to Panasonic. The weather-sealed and freezeproof lens has switches for changing the focus range and registering the focus position, as well as an AF-on button. Further benefitting the professional nature of this optic is a splash, dust, and freezeproof design for use in less-than-ideal weather conditions. 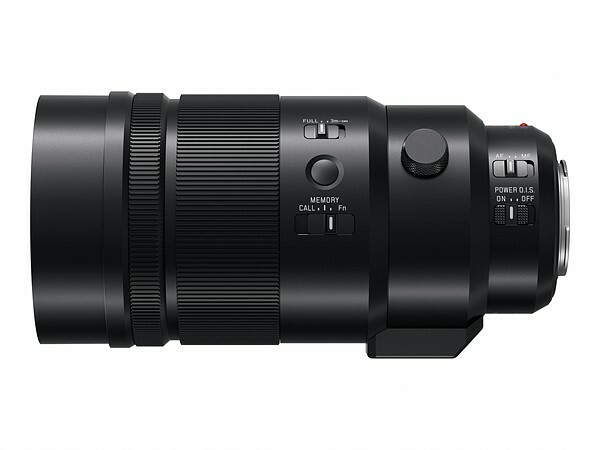 It is compatible with teleconverters for added reach and the DMW-TC14 1.4x Teleconverter is included for creating a 560mm-equivalent lens at the cost of one stop of light. A fast f/2.8 maximum aperture excels when working in difficult lighting conditions and provides extensive control over depth of field. Two ultra extra-low dispersion elements minimize various aberrations in order to produce a high degree of clarity, sharpness, and color accuracy. A triple linear motor autofocus system delivers smooth, near-silent performance that is especially beneficial to video applications when working in noise-sensitive areas. It is also able to drive the motor at up to 240 fps for high-speed applications and is silent for use in video. POWER Optical Image Stabilizer minimizes the appearance of camera shake for sharper handheld shooting, and also supports the Dual I.S. and Dual I.S. 2.0 functions for increased stabilization performance. Physical controls located on the lens barrel provide quick access to many commonly adjusted settings. This includes a focus control limiter for changing from full-range focusing or 9.8' to infinity for faster operation in some circumstances. Also, there is a focus button and a focus memory switch that can be set up to store focus position or to recall a specific camera function. In addition to these more unique controls, there is an AF/MF switch and a POWER O.I.S. on/off switch. A quick-shift, two-part rotating tripod collar permits quick switching between horizontal and vertical shooting orientations, and keeps the lens controls in the same place once rotated for more intuitive handling.